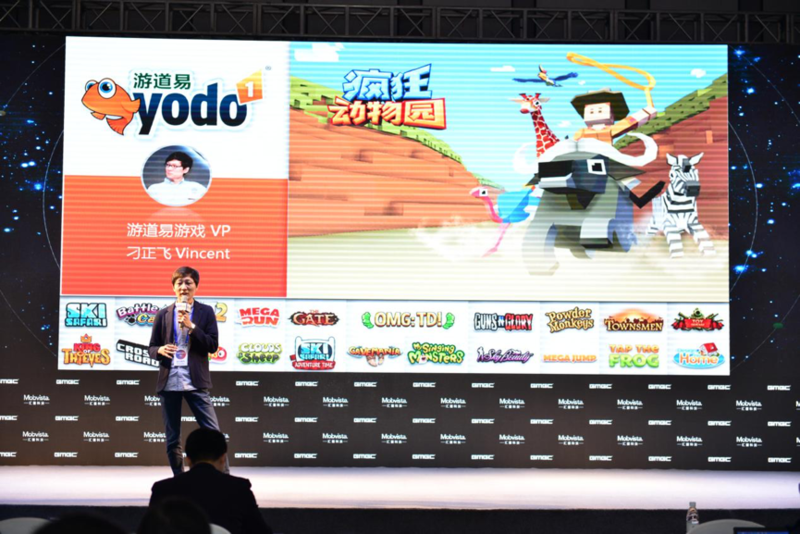 Vincent Diao, Vice President of Yodo1, a leading mobile game publisher, shared his experiences on using data analytics to improve monetization. On the 2nd of November The ‘Mobvista Monetization and Data Operation Salon’ was held at the 2017 GMGC in Chengdu. With more than 1,000 game developers present, the Salon explored developments and trends in game monetization looking at strategies and tactics used by successful developers. Yodo1 has successfully published games, including “Transformers: Earth Wars”, “Rodeo Stampede”, “Rooms Of Doom”, “iSlash Heroes”, “Ski Safari”, “Ski Safari 2”, “Cut the Rope 2”, “Crossy Road”, “Sniper 3D Assassin: Shoot To Kill” etc. 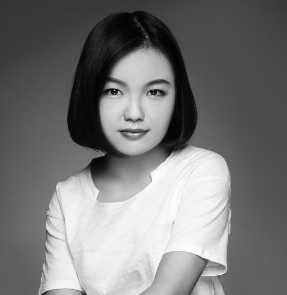 The company is committed to discovering and publishing premium games in China and around the world. As a company that was using GameAnalytics, the game data analytics platform owned by Mobvista, Yodo1 also started working with Mobvista on ad monetization. Good afternoon! I would like to thank Mobvista for inviting us to share what we’ve learnt about ad monetization. Today, I would like to share how we use different tools and systems to group players to help us display the right content for each group. Choosing the right ad format is critical for user acquisition. Many ad formats can impact the player experience in different ways. For example, banner ads impact what players can see on screen and can get in the way of gameplay, while interstitial ads pop-up and interrupt the player experience. Engagement is nearly always low with these types of ads. But with video ads, players are often more receptive to them. This is especially true with rewarded videos, where players can play for free and have an incentive to watch ads. Rewarded players are effective because they deliver effective monetization without interrupting the gameplay experience. Rodeo Stampede is an endless runner where players capture different animals as they run, trying to find new species for their zoos. Players earn money by selling tickets to earn ‘Gold Coins’ from their zoos. Having a good collection helps them succeed in the game. There is also the option for players to buy gold coins through in-app purchases, which is a major revenue source in some markets. We identified through our data and analytics platform that some players thought they had enough coins and didn’t want to buy more, even though they would need more coins to progress. We found that some players felt coins are too expensive to buy, so we wanted to explore how to help them get more coins, while still monetising the game through advertising. We look at two main variables with our games, average revenue per daily active user (ARPDAU) and Lifetime value (LTV) – which includes retention. To understand the ARPDAU, we conduct a test where gamers were grouped depending on their level of in-app purchases. Group A consists of players which buy coins very quickly after installing the game, with an ARPDAU of about $0.029. The number of players in group A grows rapidly, but also churn quickly. Group C, meanwhile, barely grows – yet the ARPDUA is as high as $0.025 as these players take a long time to churn. Group C, which shows very little growth in player numbers, may seem like they are less valuable players – they actually have longer term value. On the other hand, Group A and B tend to see early in-app purchasing but then don’t spend again for a while. It’s imperative to look at data to find where the problems are, which is achieved by targeted analysis and looking at player behavior. Our conclusion was that while Group A has strong growth potential, there are large numbers of players who won’t do in-app purchases – which is why Group C can have longer term advantages. We wanted to find out what would encourage more of Group C to spend on in-app purchases, supported by ads. As mentioned earlier, in-game ads are a major driver of revenue for our casual games. Lifetime value becomes an important variable when looking at in-game ads, as the longer players spend in the game, the more likely they are to engage with ads if they don’t want to spend money. Though Interstitial ads can deliver a poor user experience impacting retention and LTV, they represent 40% of total ad revenue. We conducted a new round of tests with our Android version and divided players into two groups – one which received interstitial ads, and one which didn’t. In these tests, we analyzed user retention and lifetime value. The Day 2 retention rate of Group A was 3% lower than for Group B, showing us that interstitial ads have a negative impact (which is what we expected). What about long-term retention rate? While Group B has a long-term retention of 8.8% of players, Group A only managed 7.8%. So the conclusion here is that the negative effect of interstitial ads grows over time. In other words, the ARPDAU of players who are targeted with Interstitial ads is very low. Using ARPDAU and retention to measure their value over time, we can calculate the LTV difference is about $0.07 and $0.03. We also conducted a number of tests to find optimal point for IAP and interstitial ads – balancing revenue and retention and even players’ feedback to find the sweet spot. It’s a complex and long process, but it’s worth it in the long term. You need to run many tests and try lots of different combinations to find the best result. For every data point, we run one to two groups of variables. Firstly, 80% of players opt to watch and engage with rewarded videos as it helps them earn double the revenue from their zoo ticket sales. By delivering value to players, we’re able to also increase our revenue as they are able to see ads that are relevant to them, while keeping players in the game for longer. Secondly, 40% of players opt to watch ads to unlock tasks faster. Tasks are an integral part of the game, helping players to get more Gold Coins, or expand their zoos. Thirdly, in Rodeo Stampede, when it comes to respawning if a player hits a rock or doesn’t manage to capture another animal, we offered two options. One is to watch a video ad while the other is to share the game on social channels. We found that just 20% of players chose to watch the video, which is lower than the other types of rewarded video. One of the key things to remember is that watching a video in the middle of a game interrupts the experience. That’s why with Rodeo Stampede, we let players continue the game, and then play them the ad when they have finished playing their session. As with interstitial ads and in-app purchases, finding the optimal approach for rewarded video ads takes time. Players may just want gold coins when they first start playing, but over time, their priorities in the game may change and so you need to offer the right reward at the right time. This is especially true as in-game content becomes more expensive the further into the game you go, so offering a few coins may not result in players engaging with ads. Ultimately, it’s also about balance. You don’t want to damage the user experience by making ads too aggressive as you’ll lose players too early.